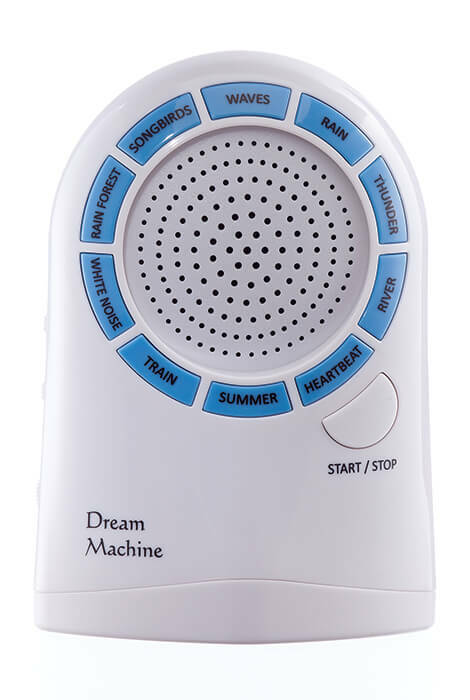 The Dream Machine helps you drift off into sound, restful sleep every night. 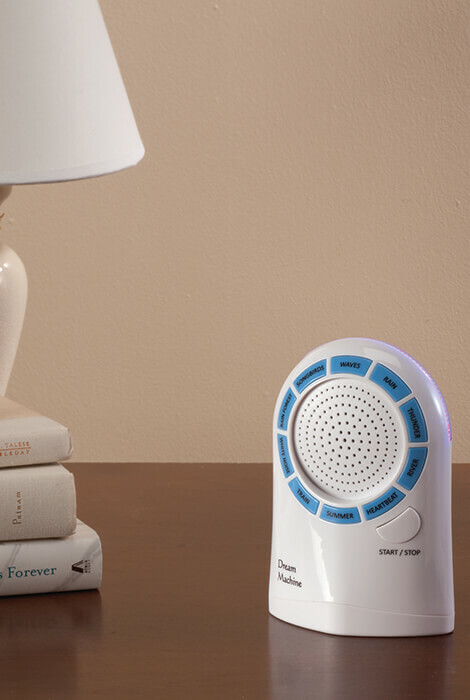 Even light sleepers can benefit from sound therapy accompanied by a soft, glowing LED nightlight. Block out the stresses of your day or unwanted noise with your choice of 10 soothing sounds: waves crashing, thunder, heartbeat, birds singing, rainforest, soft rain, river, summer, train or white noise. Shuts off with automatic timer or manual start/stop button. Set timer for 15, 30, 45 or 60 minutes. Sound machine requires 3 AAA batteries (not included). 4"L x 2 1/2"W x 6"H.